There was a programme on TV recently about William Marshal. I knew of him because he comes briefly into the story of Broken Reed: The Lords of Gower and King John, but I didn't know much about him. I was astounded at what I learned. The presenter called him 'A forgotten hero of our history' and 'The most celebrated warrior of his age'. The programme title called him 'The Greatest Knight'. His name, Marshal, comes from the fact that his father John was Marshal of the King's horses, so he was called John the Marshal. Not a high rank, though it was a Norman family. William was born in 1147, one of six sons. John served King Stephen, but then supported the Empress Matilda in the war for the throne. John gave the five-year-old William to Stephen as a hostage in return for a truce, which he then broke. Stephen threatened to hang William, but John is reported to have said, "I still have the hammer and the anvil with which to forge still more and better sons!" It was suggested to shoot the boy over the city walls from a catapult, but Stephen took pity on him and kept him prisoner for a while. How history would have changed if William had not lived! 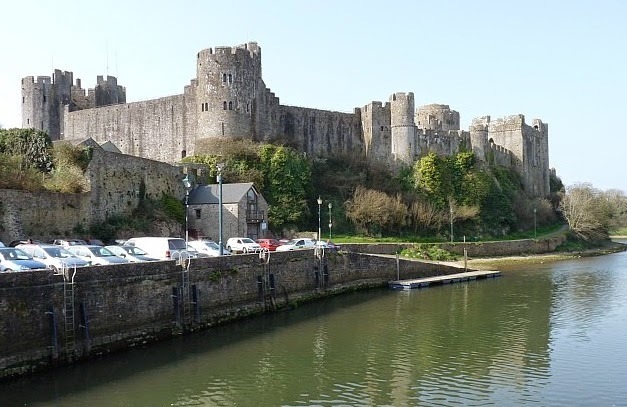 At the age of twelve William sailed to Normandy to join the household of William of Tancarville, the chamberlain of Normandy, to learn how to be a knight. He was there 6 years. In 1166 he was knighted to fight against Flanders. He acquitted himself with some skill, which he used in peacetime to earn a living from tournaments. William saved Eleanor of Aquitaine, wife of King Henry II, when he was escorting her and she was attacked. She paid his ransom and called him to court as mentor and companion to her son, the Young King Henry. William rose to the head of the retinue and people became jealous. A whispering campaign was started accusing him of adultery with the Young King's Queen, but when he challenged his accusers no one would fight him. He was forced to go into exile. The Young King realised how much he needed him and recalled him with his reputation intact. In 1183 the Young King died without being able to fulfil his desire to go to Jerusalem. William went on his behalf, and fought for 2 years. 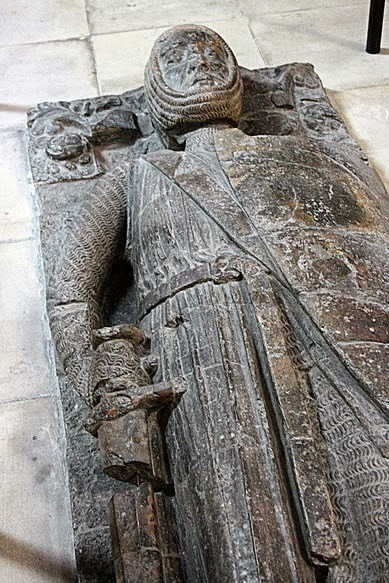 In 1186 William returned to the court of Henry II and over the next 20 years forged his reputation as the greatest knight, defending the land and proving his loyalty. In June 1189 he faced the rebellious Richard the Lionheart in battle while defending Henry, but lowered his lance and struck Richard's horse. He would not kill the heir to the throne. Two months later Henry died and Richard became king. Richard called on William and challenged him that he tried to kill him in battle. William said, “I am strong enough to aim my lance.” Richard brought him into his retinue because he had proved himself loyal to the last. He finally had the opportunity to settle down and have lands of his own. 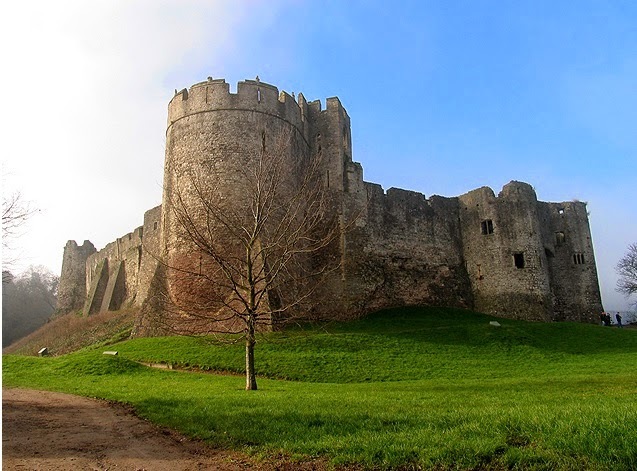 He married the heiress of Chepstow, Isabel de Clare, and became the Lord of Chepstow at 42. He now had his own knights and children. Isabel was the daughter of the Earl of Pembroke, and when he died, William became the Earl. His fame was such that he was not referred to by name or title, people just called him 'the Marshal'. William served Henry II, Richard I and King John. When John died, England was in danger of French occupation but John's son Henry was only nine. A few nobles who had remained loyal to King John met and begged William to protect him. He was crowned and William knighted him. William pledged to protect him as long as he was able. William became regent, because it was the honorable thing to do. As regent, he re-issued the Magna Carta, and it can be seen today with his seal on. In May 1217, aged 70, he rode into battle against the French at Lincoln and inspired the troops to victory. If the battle had been lost, England would have become part of France.This was a time when men were considered old at forty. William died 2 years later. His role has been rediscovered through a medieval manuscript – his biography. The first known biography, written in Anglo-Norman French, in verse. It was commissioned by his son, so we have to question whether the text tells the whole truth, but much is verifiable from other sources. He served 4 kings and preserved the throne of England, but William Marshal and knights like him stemmed the tide of royal tyranny and promoted the rule of law. He rose through the ranks, was a great warrior, politician and courtier, and earned the reputation of the greatest knight in the world. What Was a 'Real' Knight? Has Anyone Seen My Treasure?